A memo, also called a legal memorandum, is a type of document that contains a written message. A memo is commonly used in various businesses in order to communicate with the different departments within the company. Memos are also used in board meetings, company reports, and for several other purposes. A business memo serves as a form of communication for employees in a business. Another example of a memo is a cash memo. This is used in businesses that provide goods and services. 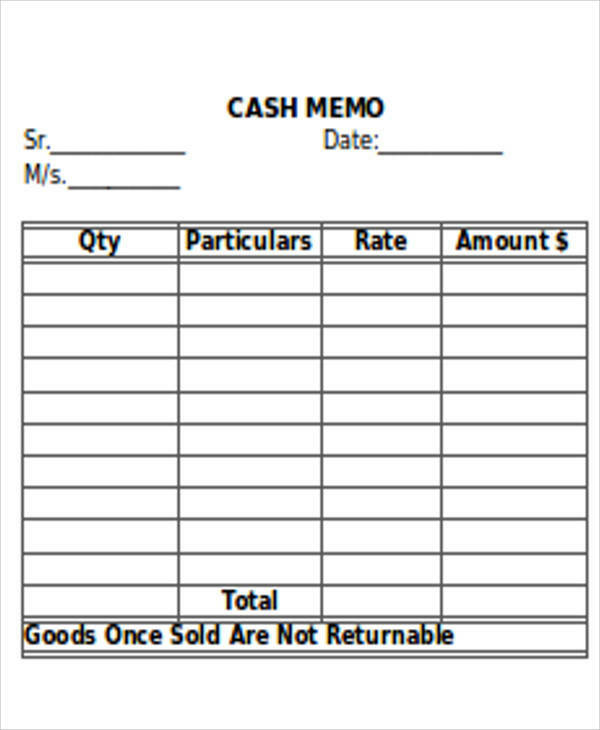 If you want to make a cash memo, you can download from the templates available on this page. 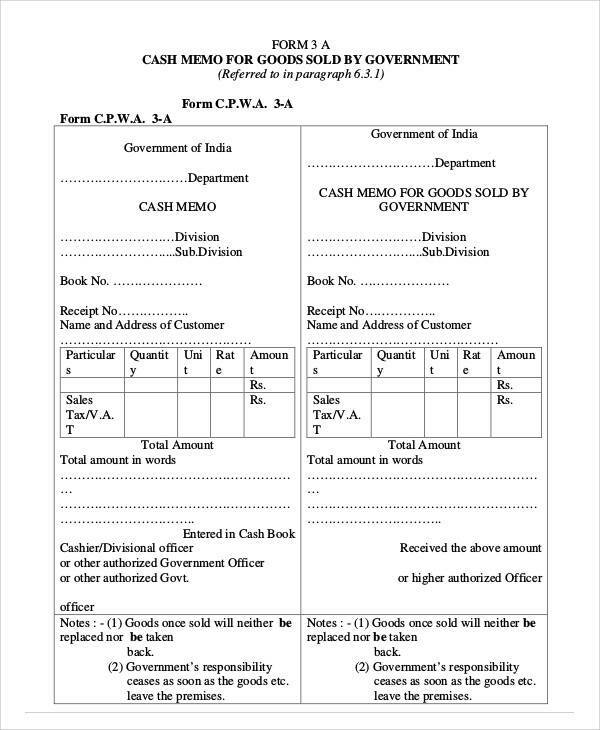 A cash memo is a written document commonly used in many business transactions. 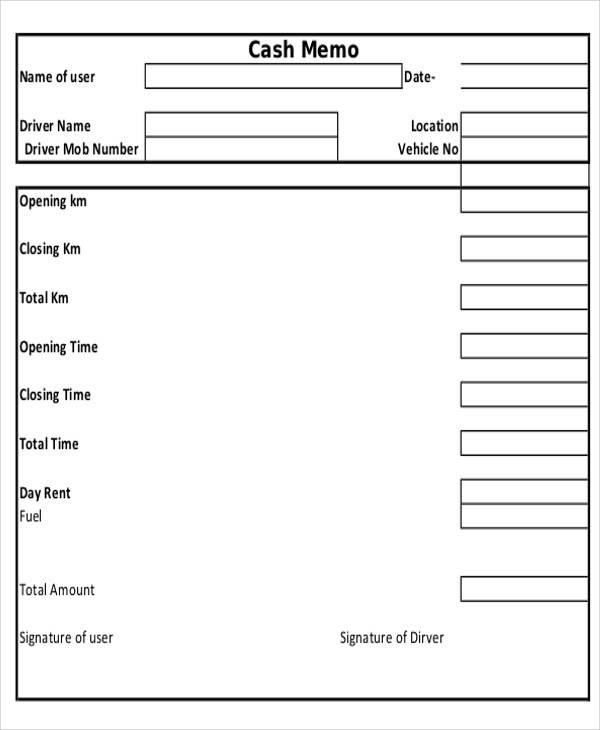 Similar to a receipt, a cash memo is given to a client or customer after a payment has been received by the business. The purpose of a cash memo in a business is to have a record of all the transactions of goods and services. A cash memo serves as a legal proof that the business has received the cash from the client. 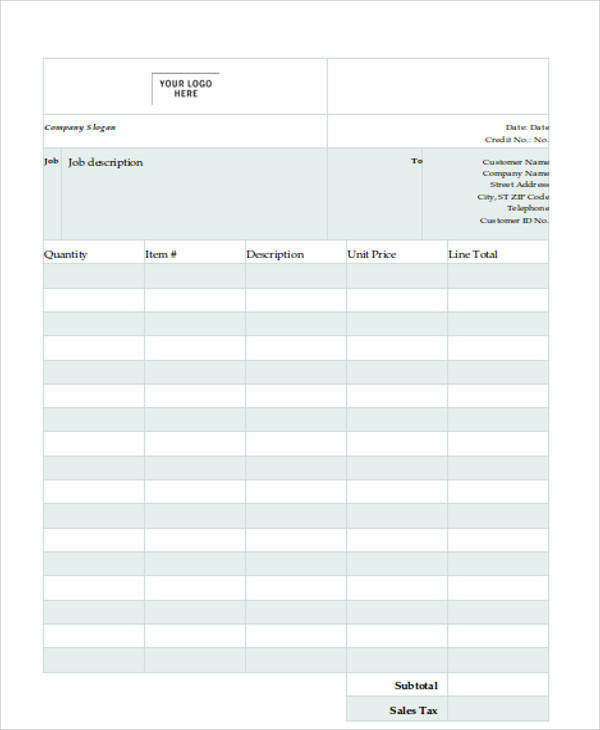 A standard memo template includes the date of purchase, items sold, information of both the seller and the buyer, and the total amount paid. What Is the Difference between an Invoice and a Cash Memo? 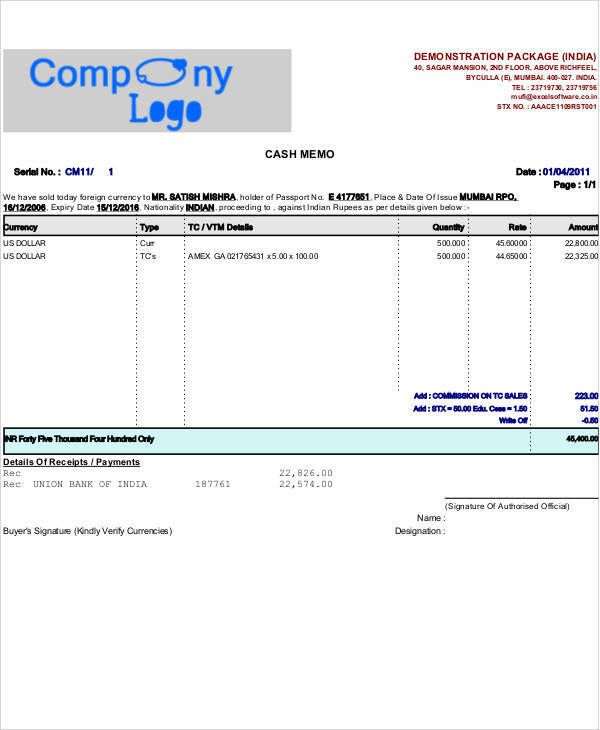 An invoice and a cash memo are commercial documents essential in recording business transactions. An invoice and a cash memo have different uses in a transaction. 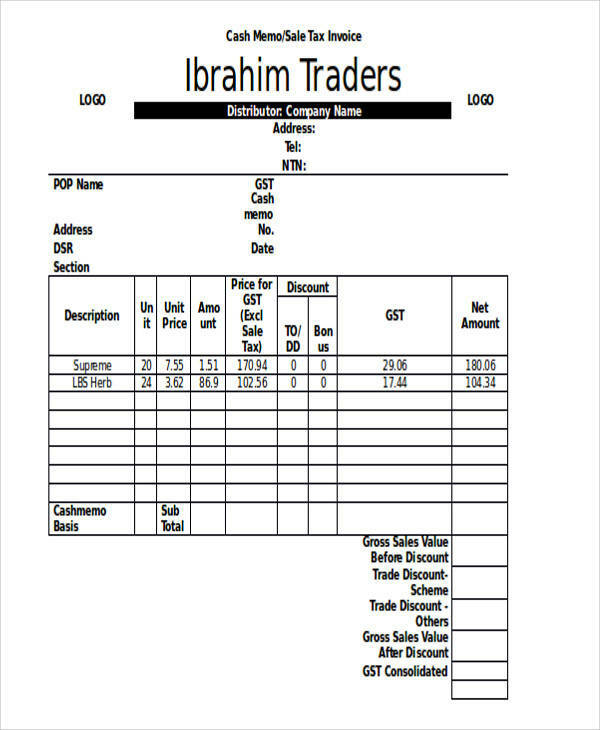 An invoice is sent by the seller to the buyer after the goods and services have been delivered. 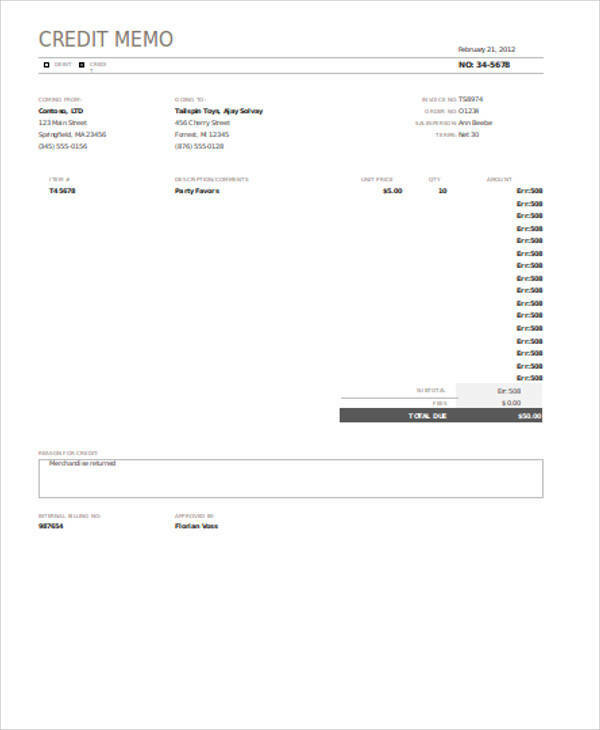 It is used to request for a payment and indicates when a payment should be made. A memo, on the other hand, is given to the customer after he or she makes a payment. You can refer to a memo format sample if you need to format your memo. There are different types of memo used in businesses. Meeting memo templates are used as a communication tool in a company meeting. Below are the main types of memos. Request Memo – a request memo is used when writing for a particular request. A request memo includes the request and the reason for the request. Confirmation Memo – when two parties agree on something, a confirmation memo is used to confirm it. 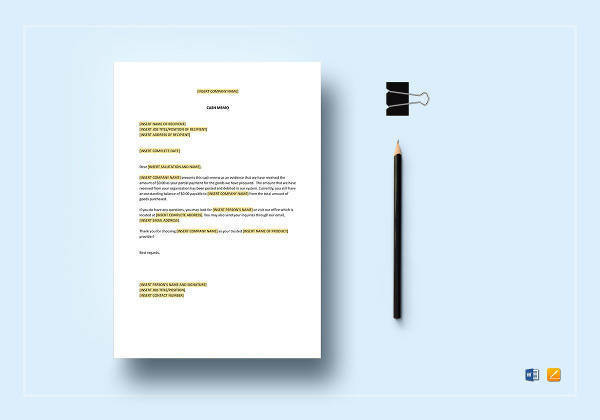 A written memo is important to clearly state the message that you want to say. Periodic Report Memo – a periodic report memo is used in companies where a monthly or quarterly report is submitted. 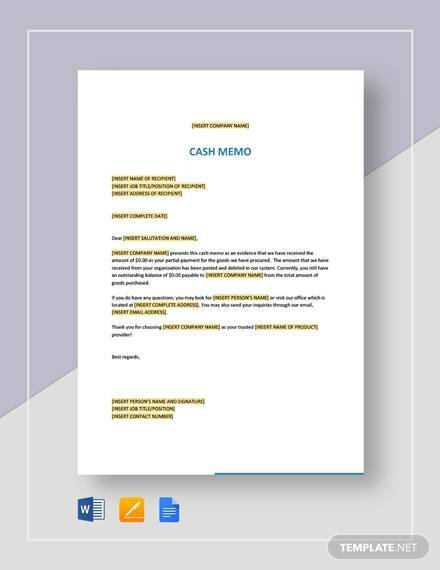 Create a cash memo template or download from our memo format example when creating your cash memo. As with any document, write the date of the purchase. Write a breakdown of the items, goods, or services provided to the customer. The prices of each of the items sold is also specified including additional fees and tax charges. The total amount is also indicated in the cash memo. Write the names of both the buyer and the seller. Include other information such as the address, contact number, etc.